Tom Honey is the founder of Stoned, a pizza restaurant business based in Braunton, North Devon. 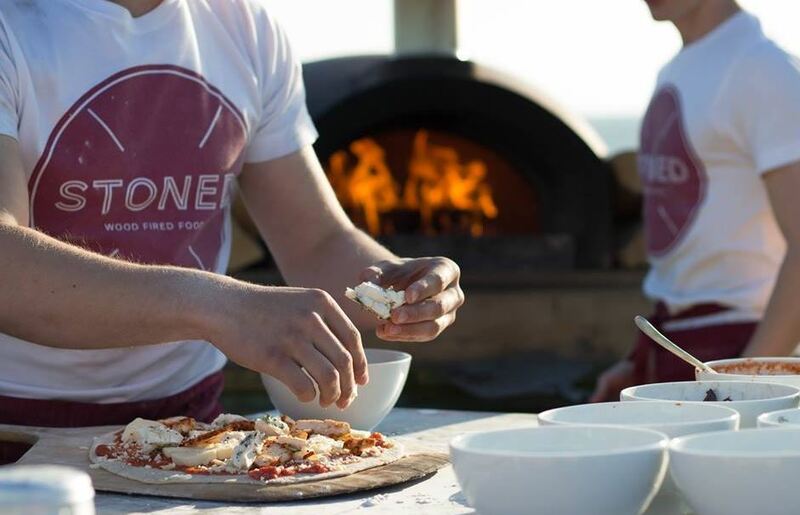 Starting with an outdoor pizza oven aged just 16, selling pizzas besides the beach, Tom has gone on to sell his pizza at pop-ups, and now a permanent restaurant that he launched with a little help from a £25,000 Start Up Loan. He also has a great YouTube channel where he shares the trials and tribulations of being a young entrepreneur starting out in the world of business. We asked Tom for the five most important things his business journey has taught him. People that want to set up their own businesses are probably (like me) delusionally optimistic. We have lots of things thrown at us, but the whole time we somehow manage to see the positives - or similarly, we see big challenges as unrealistically smaller than they are. This is great, except for when it comes to forecasting. You can’t possibly imagine a day where sales would fall below X but inevitably, at some point they will. In our case we did a series of forecasts, one being our “Apocalypse scenario”. This was the absolute worst we ever thought it could get, and was almost a bit of a joke… but, as you would expect, at one point it did actually go down to this. By doing the forecasts we adjusted our business strategy to suit and it meant that when things were going worse than planned, everything ended up fine. Anyone starting their own business has to go beyond being a Jack of all trades… they have to be a master of all. Without help and support its impossible to be a master of all because you’ve probably not done it all before. That’s why it’s so important to ask for help. In growing Stoned I reached out and got advice from the founder of itsu , Julian Metcalfe, and ongoing support from the founder of Jack Wills, Rob Shaw. Most people starting businesses probably think people like them don’t care, or don’t want to help. But they do! They’re just an email away - and who knows where it may lead. I feel as though there is a common view that people don’t like to change their business as it grows because they think customers and public will say they’ve moved away from their roots, or they’ve gone all commercial or whatever. But at the end of the day we’re running a business and, like it or not, the goal is to make money - or nothing else matters! We have to innovate and change with the times, and we shouldn’t be averse to changing the colour of our logo, for example, or opening shops in cities when we were originally only based on the coast. It sounds a bit cliché, but it’s so easy to get caught up in your long-term goal and only focus on that. In my experience we’ve had lots of amazing things happen, and in the past I haven’t fully allowed myself to enjoy them because it’s still not what I ultimately want to achieve. In reality I should have enjoyed these a lot more and that would have perhaps fuelled me on to progress faster. Instead of trying to sell a product or a service you should be selling your passion. Don’t tell people what you sell or lots of information about it - tell them why you are so passionate about it, and why you love it so much. People will then see and feel how important it is to you, and enthusiasm is infectious, so they’ll feel it too. This runs parallel with what Simon Sinek said; “It’s not what you do, it’s why you do it”. The people who invested in Stoned said to me after that they didn’t invest for our forecasts or the numbers on paper. They invested in my belief in the idea, and my drive to make it happen.